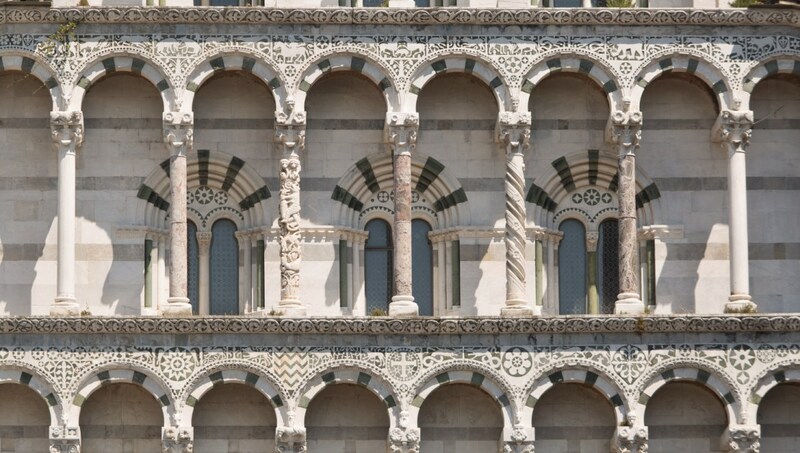 The awe-inspiring sights of Lucca include over 100 churches and city walls designed by Leonardo DaVinci. Easily reached from Pisa and Florence, Lucca is a picture-perfect addition to your Tuscan itinerary! Lucca's churches are among the most beautiful in Italy. Its primary cathedral is a bonafide highlight, with its grand carved-marble entrance and intricate stained glass windows. Though the interior is stunning, the real treasure of this palace is its Baroque garden. Though small, it boasts exotic trees, a fountain, statues, and a lemon house! 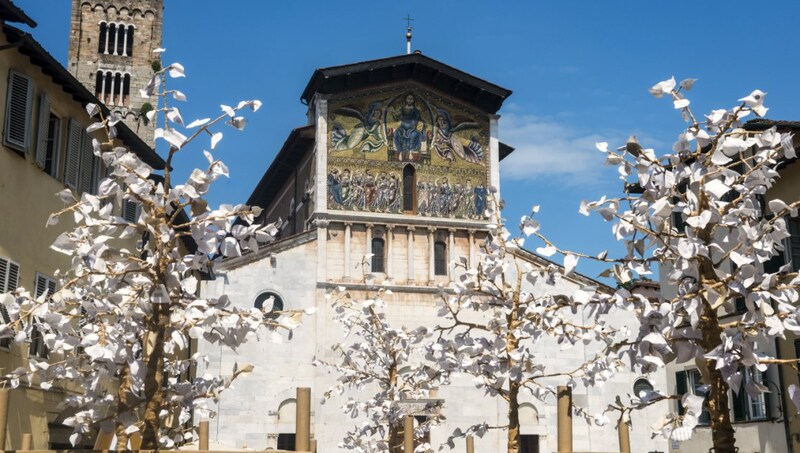 The Romanesque church at the Piazza San Frediano might seem relatively low-key at first, but look up and you'll notice a gigantic mosaic of Christ watching over his apostles! 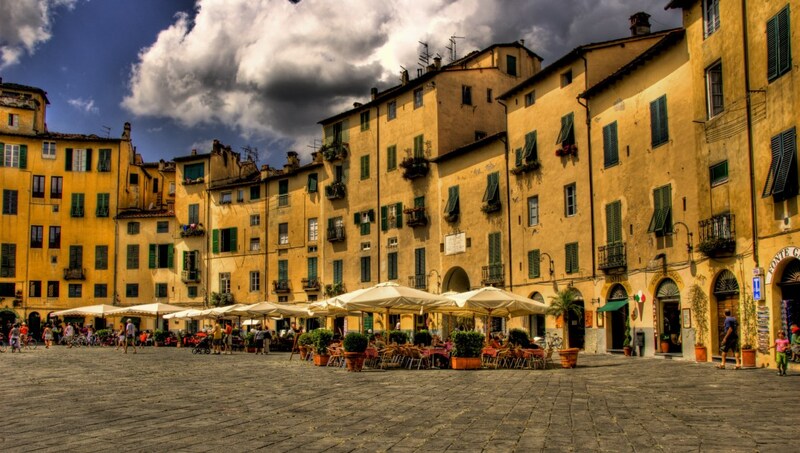 This huge – and incredibly charming – oval piazza was built where Lucca's ancient Roman amphitheater once stood, its rounded shape following the dimensions of its predecessor. 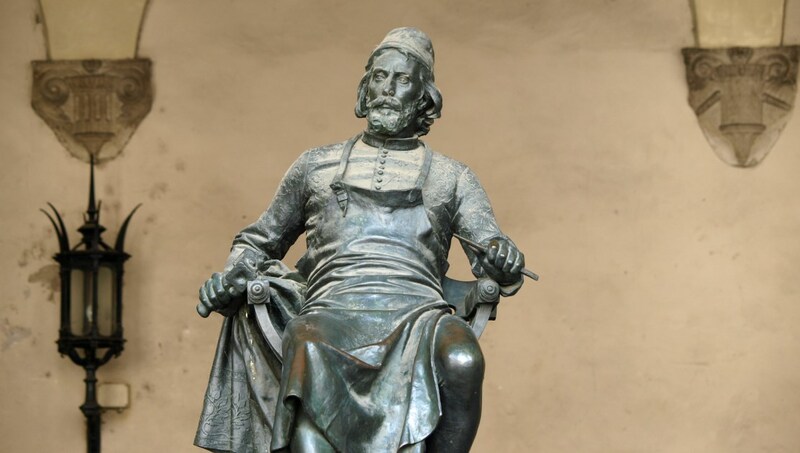 The birthplace of the great composer Giacomo Puccini is now a small museum of his life and work. The old apartment is crammed with his personal mementos and collected memorabilia. The Old Town's 40-foot walls were converted into a public garden by Maria Luigia of Bourbon. The scenic ramparts make for a wonderful amble around the city. 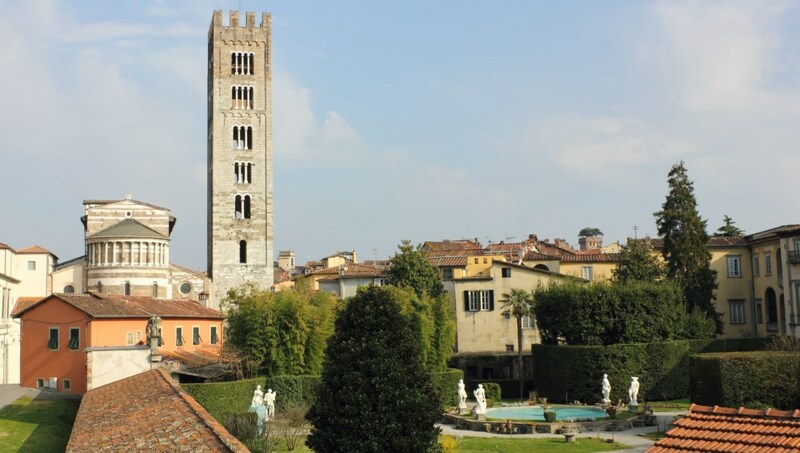 Set between the two palaces of Case dei Guinigi, Lucca's most important tower is crowned by a garden of evergreen oaks. This slice of forest in the air is a remarkable sight! Lucca is easily reached from Pisa and Florence. There is a direct bus available from Pisa Airport, and trains depart from Pisa Centrale to Lucca about every 30 minutes. From Florence stations, trains depart frequently from Firenze Santa Maria Novella, and infrequently from Firenze Rifredi. If travelling at off-peak times, you'll probably find that the bus is quicker. You can catch one at Via Fiume bus station. 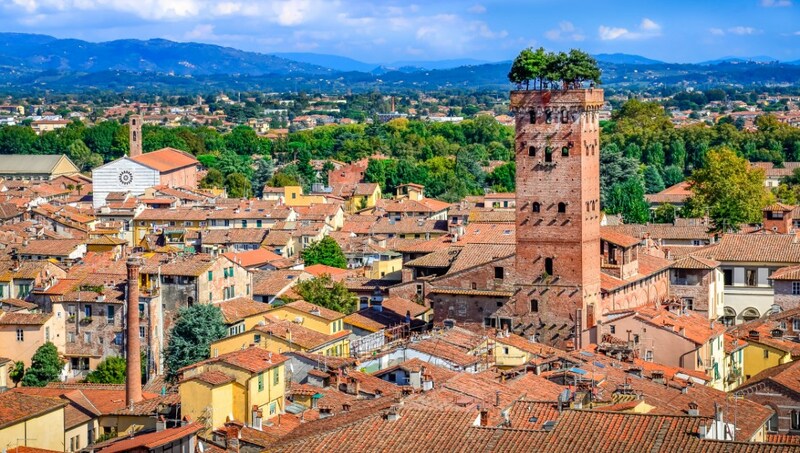 Lucca is great for sightseeing day-trips, but you'll need two or three days to really discover the city. It can be pretty crowded in the summer, but if visiting off season, Lucca makes a great base for a Tuscan break too. Best to seek out warm weather with less crowds. April - June and September - October are divine months to visit Lucca. 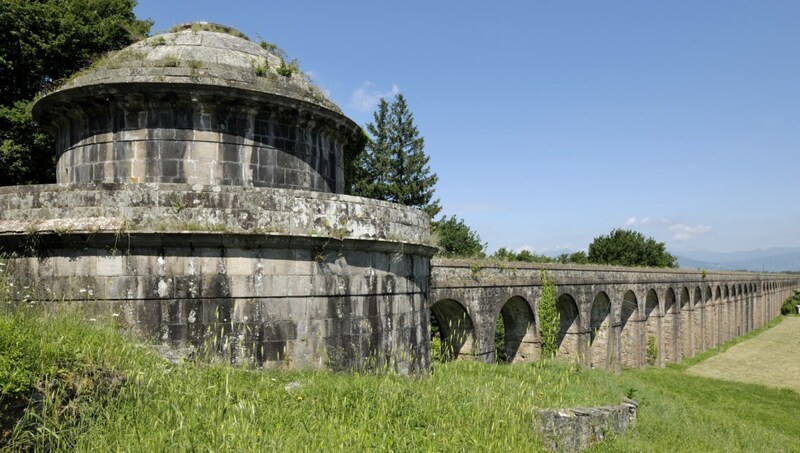 Want to discover all there is to do in Lucca? Click here for a full list. FANTASTIC experience! Valentina was AMAZING!!! Would highly recommend this class to anyone in Florence. Valentina made it so much fun. Worth every penny. Learned a lot and the pizza was just yummy :)! We spent a really nice evening with Thomas and the other participants and enjoyed very good pizza. You get recipes for the pizza and ice cream and get some decisive hints for a good pizza dough. Getting to the place was actually a bit annoying because we had to walk an extra 15 minutes and then went by private bus for 30 minutes because of heavy traffic. In the description it further said 'dinner and drinks' included, which was basically one glass of wine or one soft drink per person, which I expected to be different. Nevertheless, it's a really nice thing to do in Italy. Great company, very well organised and very good prices, half the price of the shore excursons on the ship and guaranteed to get you back in time for departure, even dropped us back at the ship. Excellent company and would highly recommend.